The success of your business is in large part dependent on the health and well-being of your employees. They are the reason why your business becomes successful in the long run, and they are also a reflection of your business itself. Because of this, it is important to address any problems that may affect your employees, including the use and consumption of alcohol or drugs. Illicit substances have proven to be a major issue when it comes to the health, safety, efficiency and productivity of employees and should not be brushed aside as a small problem. In order to avoid injuries and endangerment to other employees or clients, it is best to have an up-to-date drug and alcohol company policy. This policy should clearly state the company’s stance on alcohol and drug use and the consequences that the employee will face if they are found to be intoxicated while working. Do not hesitate to emphasize how important it is that your employees refrain from using drugs while on the job. It is a serious issue that can be avoided with proper communication. You deserve to have employees who are compliant with your company policy, and your employees deserve to know the consequences pertaining to alcohol or drug use. One of the biggest culprits when addressing drug-related problems in the work environment is alcohol. It is the easiest drug to obtain, resulting in a higher likelihood that employees will consume it while working. While it is not illegal to consume alcohol, you have a right to prohibit its consumption during working hours. When testing for alcohol, urine does not provide a suitable sample for testing, due to its longer detection window. There are other alternatives to testing for alcohol use, and Origin recommends the use of a breath alcohol test (BAT). 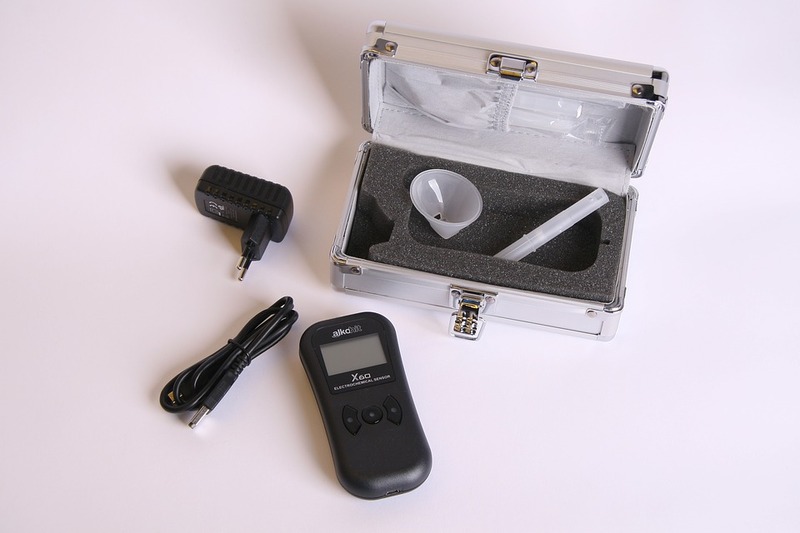 Breath alcohol tests are also referred to as “breathalyzers” and measure how much alcohol is currently in one’s system. They are ideal, as they show current levels of impairment and not past use. The reason you would not want to use a specimen like urine to detect if someone is currently under the influence is because it could reveal levels of alcohol that were consumed the night before. By using a BAT you are receiving results that reflect the donors current state of sobriety. These devices do not require a blood or urine sample, and the equipment is simple to use, allowing the employer to test an employee if there is suspicion of alcohol use during work hours. You should state in your policy that the use of a breathalyzer will be used in order to minimize drug-related accidents in the workplace. If your company is involved with the U.S. Department of Transportation (DOT), then it should be noted that it is mandatory to test for alcohol by using breath alcohol tests. The best part about these tests are the benefits that follow. BATs are easy to administer. They show the current state of sobriety of the employee tested. It is imperative that you are up to date on the state and federal regulations surrounding alcohol, as the consequences could be overwhelming. You should highly discourage allowing your employees to work while under the influence of alcohol or any other drug and take the necessary steps to prevent any accidents that would be caused as a result of alcohol or drugs. Origin is here to help you look out for the best interests of your company. In addition to BAT, we also offer many other services, such as workforce management, occupational health services, recruiting and onboarding, training and testing, credential badging, and background screening. Your business goals are within reach. Let Origin help you achieve them.